Friends for Asia’s accommodation is safe and secure, and it provides a strong sense of community for international volunteers during their stay. Friendships forged here regularly outlast the time volunteers spend on assignment. 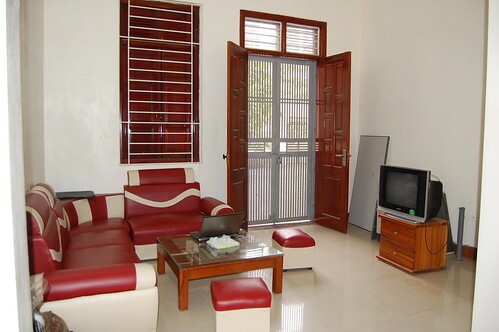 Located just outside the city center of Hanoi, our quaint volunteer accommodation is clean, safe and comfortable. Located at the end of a small side street, it’s the ideal place for our volunteers to call home during their volunteer or intern project. The house accommodates up to 14 volunteers at any time, but it normally operates at about half-capacity. Sleeping arrangements vary from room to room and include individual and bunk beds in air-conditioned bedrooms that provide respite from the hot, sunny days of northern Vietnam. While volunteering on our project sites provides authentic, one-of-a-kind cultural experiences, it’s still nice to know that you can retreat to our comfortable living room, watch English movies, Skype your friends and family and surf the Internet in your free time. 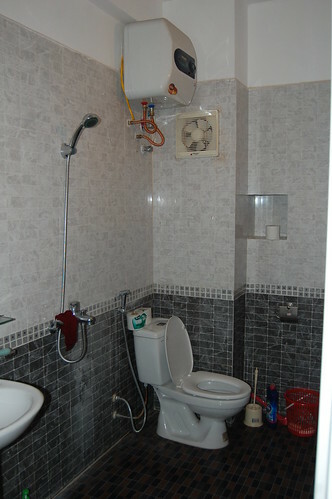 The house is equipped with Western-style toilets, a hot water shower and air conditioning in the bedrooms. Wireless Internet is available 24 hours a day, and a small kitchen is on site for preparing breakfast and other meals. A comfortable seating area with a sofa and TV is located in the back of the house, where volunteers and interns share stories about their day at their project sites, relax, and make plans for the next lesson. A washing machine is located at the top of the house, with space to hang clothes out to dry. 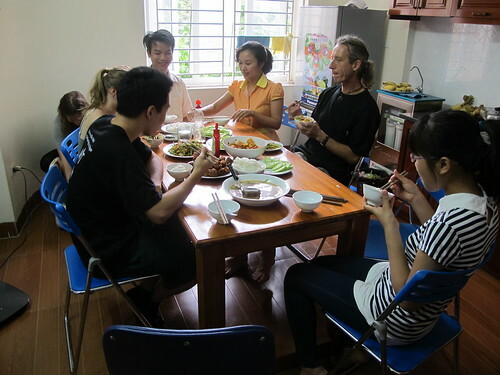 Our volunteers and interns start their day with toast, cereal, eggs, yogurt, fresh fruit and Vietnamese coffee. Inexpensive and delicious restaurants are only minutes from our volunteer house. Our experienced volunteer coordinators are friendly and knowledgeable, and they work out of their office located on the first floor of our volunteer house. The Coordinators work hard to ensure that your volunteer project runs smoothly. They also assist volunteers with any problems, misunderstandings or challenges they encounter during their project. Money matters can be taken care of at a couple of different banks and ATMs within a few-minute walk of our volunteer house. You may also take advantage of the the local neighborhood shops. Laundry can be washed in our Vietnamese-style washing machine, but there also laundry services in the neighborhood that wash, dry and iron clothes for a fraction of what this would cost in the West.